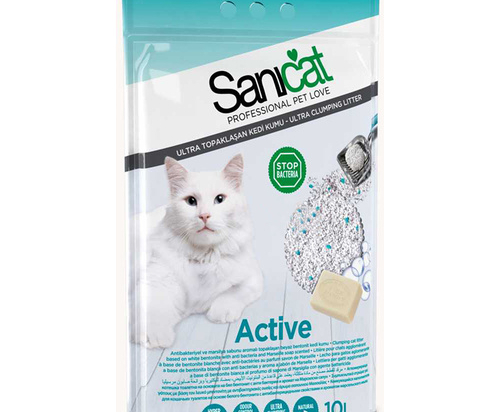 Maximum whiteness and hygiene thanks to antibacterial power Active is the perfect litter for pet owners who are looking for the right balance between effectiveness, hygiene and health for their cats. The antibacterial action, along with the scent of Marseille soap, guarantees litter box hygiene with maximum control of unwanted odours. The ultra white Bentonite also provides excellent clumping properties, making Active one of the most effective litters on the market. Composition: Ultra white Bentonite with antibacterial properties and scent of Marseille soap.